Successful people...never walk alone...they always have support and encouragement built into their lives. After years of schooling...graduates walk across the commencement ceremony stage alone. Excited but alone. Before long, the excitement turns to discouragement and their silent pleas for help go unheard. Why? Because you should be able to figure it out on your own! Frank Sinatra sings, "I did it my way!" Self made men and women do it by themselves. Unfortunately, for most it doesn' work that way. Our belief is that we do not learn alone. We are designed for community and that much of our current Western paradigm is based on the centrality of the individual. We are happiest when we are in powerful positive up-building relationships. At this time in the process you will be asked to commit to a partner relationships for0ne year. This allows for continuity and real relationship building. Our hope is that it will be a life long relationship but we are only asking for one-year term. We go through all the seasons of each year we get to see who people really are…which again allows for real relationships versus the pseudo-relationships that many experience today. 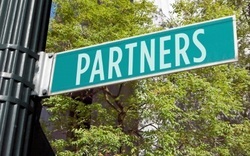 1:1 Partner formation will be facilitated “organically” and will not be imposed on anyone. Putting it simply, find a best friend to challenge and be challenged by. Members will share their 5 Year Strategic Dream Plan with each other and hold each other accountable to achieving daily and weekly success by "doing" the dream plan. This is all about encouragement…encouraging each other to achieve what they want for their lives.